Now we know what is Diffrential and now we learn what is LSD (Limited Slip Differential)or Automotive limited-slip differentials all contain a few basic elements. First, all have a gear train that, like an open differential, allows the output shafts to spin at different speeds while holding the sum of their speeds proportional to that of the input shaft. Second, all have some sort of mechanism that applies a torque (internal to the differential) that resists the relative motion of the output shafts. In simple terms, this means they have some mechanism which resists a speed difference between the outputs, by creating a resisting torque between either the two outputs, or the outputs and the differential housing. There are many mechanisms used to create this resisting torque. The type of limited-slip differential typically gets its name from the design of this resisting mechanism. 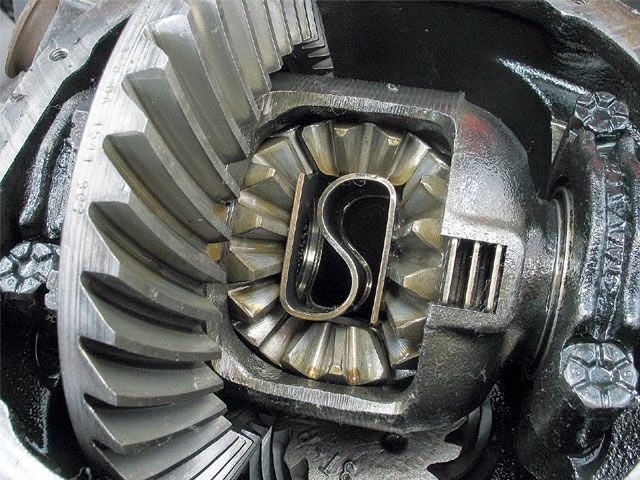 When an open differential does its job, it ensures the same amount of torque travels to each wheel. The amount of torque actually applied to the wheels is limited by only two factors: equipment and traction. On the equipment side of the equation, you need an engine capable of producing the power and gears up to the task of transferring it. As far as traction goes, the wheel needs to be able to grip the ground without slipping, which can occur on wet roads or even on dry ones if you floor the vehicle at a standstill. But what if only one wheel is on wet rooad or in the mud? You wind up with one wheel spinning freely over the slippery substance, while the other wheel is reduced to the same torque. In other words, you'll have one wheel spinning in the mud and one wheel not rotating at all. Limited slip differentials use various mechanisms to allow normal differential action during turns, while also solving the problem of slippage. When one powered tire slips, the LSD transfers more torque to the nonslipping wheel. In this situation, a limited-slip differential prevents excessive power from being allocated to one wheel, and thereby keeping both wheels in powered rotation. 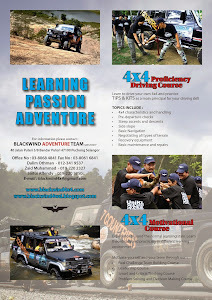 Hope you'll know the important that your 4x4 to have LSD..
Driving your 4x4 with knowledge!